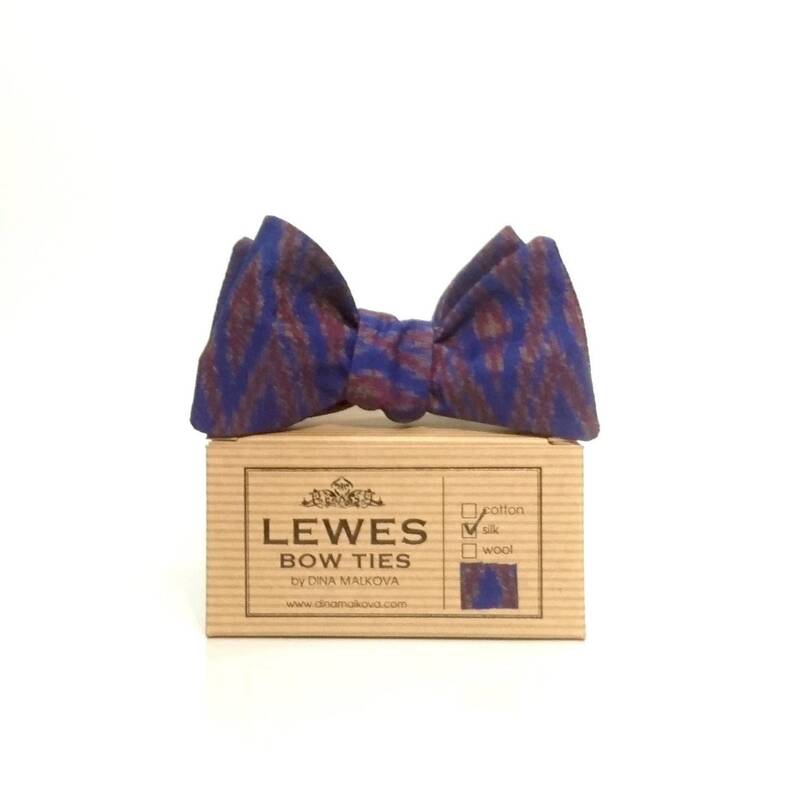 SILK IKAT SELF TIE BOW TIE IN BEAUTIFUL BLUE AND BURGUNDY SHADES. 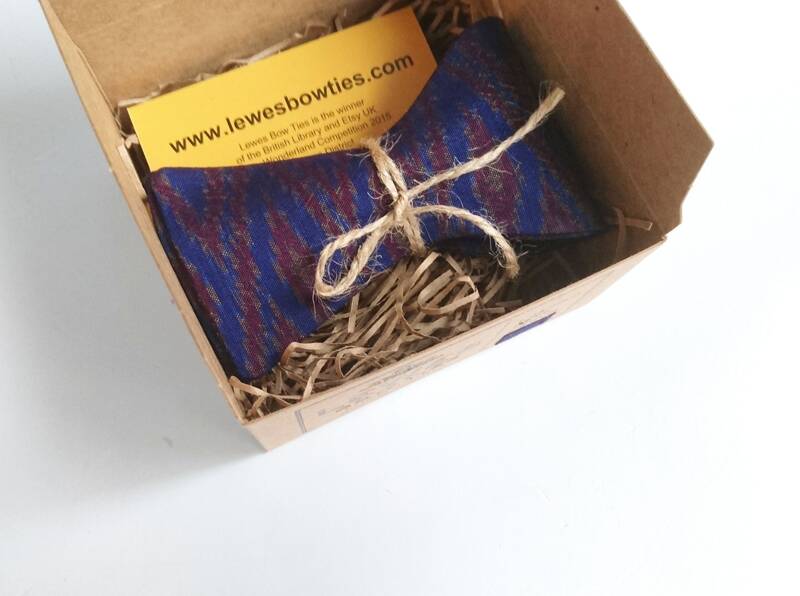 Men's blue self tie silk bow tie is made from vintage ikat silk fabric which I bought on my travels. It has a wonderful weave of blue and burgundy threads, it doesn't shine and drapes beautifully. It's great for many occasions like weddings, proms, homecoming parties or any formal events. Also it makes a great present as it's beautifully made and packaged.